Bright and rich in color, Crafter's Cut Ceramic Tiles are hand-cut by expert craftspeople and glazed on top. 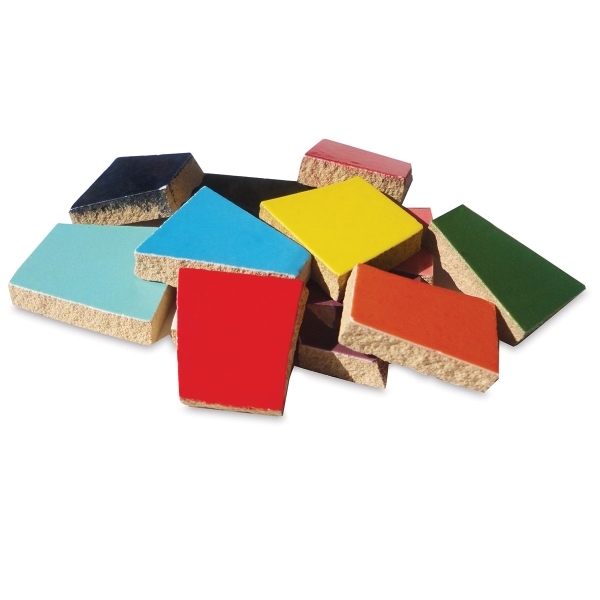 The asymmetrical pre-cut tiles are designed for easy application and don't require any nipping. Each tile ranges in size between 1/2" and 2" wide. All are 1/4" thick. The 1 lb bag contains approximately 80 tiles. It takes 120–135 tiles to cover a square foot.